THE ONLY WORKING FREE XBOX LIVE METHOD! NO MONSTER HUNTER FRONTIER! But Anyway , Along With The Tutorial..
You Must Have A New Xbox Or An Xbox That Has Not Yet Used Its Free 1Month Trials (You Get 3 With Each Console) But It Asks You For Billing Information , And after the 1month it takes a payment out on your creditcard/paypal , this is a way to bypass it.. To guarantee FREE Xbox live.. Step 1: Go To System Settings, Console Settings , Language & Locale , Change Locale To "India"
Step 2: Create A New Account, Doesnt Matter What Its Called.. Step 5: Simply Press "Yes , I Want To Try These Features"
Before Anyone Posts Below Saying: YOU CAN DO THIS ANYWAY HERPADERPADERP... You Can Not.. If You Sign Up And Press You Want To Try Xbox Live Gold For Free , It Asks You For Address, CreditCard/Paypal , Phone Number , Etc.. So This Is Perfect For Modders/Hackers Or Just People That Have A Xbox Temporarily..
Or you could just use your billing information, and then after that just select Auto Renewal = Off. 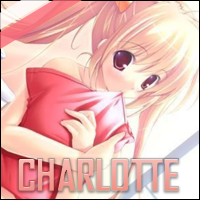 Charlotte wrote Or you could just use your billing information, and then after that just select Auto Renewal = Off. Yeah , I Was Told Last Time This Was A Good Post By Alot Of Members , As We Know MOST People That Have Xbox Live Probably Are Not Of The Legal Age To Own A Credit Card Or Paypal , Therefore Use Their Parents And If They Want A Temporary New Account, They Dont Want To Be Entering Credit Cards Anywhere... I Only Shared This Because Last Time It Got A Lot Of Attention And A Lot Of Good Feedback From Members Saying It Worked, And That They Had No Other Way Of Getting Xbox Live As They Did Not Own A CreditCard , Thanks For The Feedback! Does it have to be @hotmail.in or hotmail.jp because when i put .Jp when i finished the set up it says i have to enter the email and password and when i does it it says invaild but i know its right ? ForverManUnited wrote Does it have to be @hotmail.in or hotmail.jp because when i put .Jp when i finished the set up it says i have to enter the email and password and when i does it it says invaild but i know its right ? You did not find this so don't you dare take credit for it. I saw a member do this a couple of weeks ago. Also congrats on snitching this exploit out so it can be patched you trully deserve a high five. Well i have tried this for my brother since he has ran out of live and it did not work. Centurial wrote Well i have tried this for my brother since he has ran out of live and it did not work.